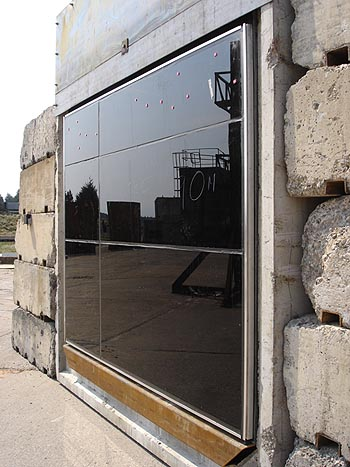 Blast-resistant glass is manufactured to resist extremely high but short term loads associated with explosions. Blast-resistant glass is designed to prevent glass that is broken by a blast overpressure or impulse load form entering into a building at high velocity where it could cause serious injury to building occupants. Blast resistant glass normally uses tempered glass and laminated glass in conjunction with a suitably designed glazing system to provide predetermined levels of protection from explosions.